Brian has been busy working on more 67-9313’s, and has sent pics and info on five more – I’ll be adding these to the Restoration Page soon. These models use either the 8110A or 8100A versions of the high beat (28,800 beat per hour) movement. 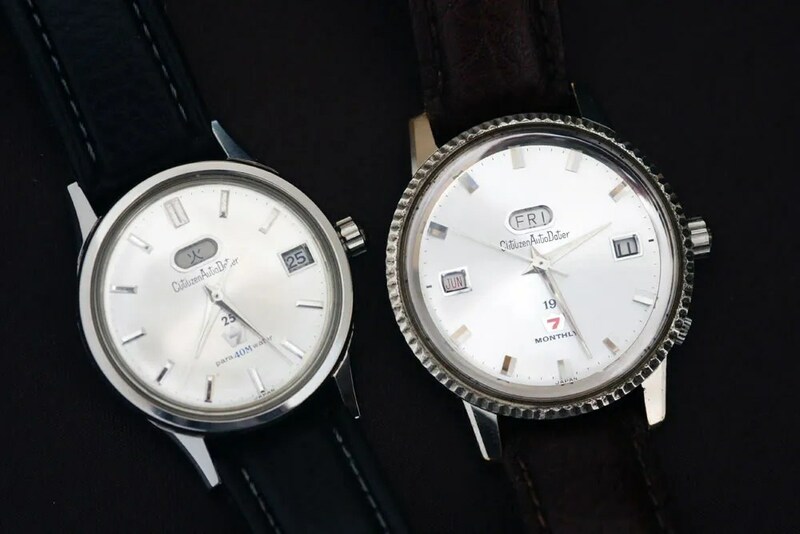 There are no ‘B’ or other versions since the ‘A’ = automatic 🙂 The 8110 is the better known of the two, with its twin sub-dials for hours and minutes. 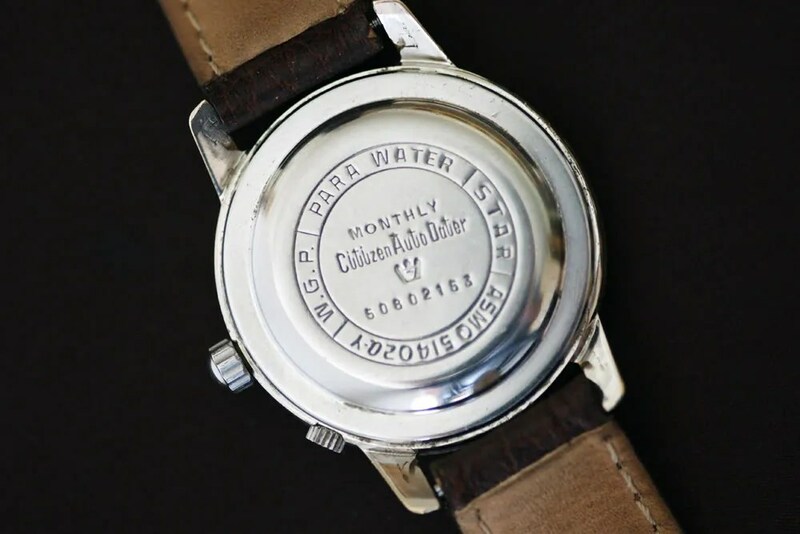 The single sub-dial features only a minute counter. The sweep-hand hand is of course the chronograph second counter. Both versions were introduced in 1972, the 8100 first, I think in May of that year, with the 8110 following in October. The 8110 was produced for much longer though, up to 1980 or thereabouts, with one special version found in the Walter Wolf branded model produced as late as 1983. The 8100 models were only produced for maybe 2 years – I don’t think I’ve seen one later than 1974. I’ve just published a new page featuring more of Brian Leiser’s excellent work – this time he has built a 67-9071 from parts I supplied. And, of course, he’s done a superb job! From two rather sad non-runners, along with some very nice NOS parts I was able to supply, I now have a very nice example of this rare model – and with Brian’s expertise it’s running beautifully and will now do so for many years. I’ve been busy over recent months with lots of non-watch related stuff, but that’s going to change soon! 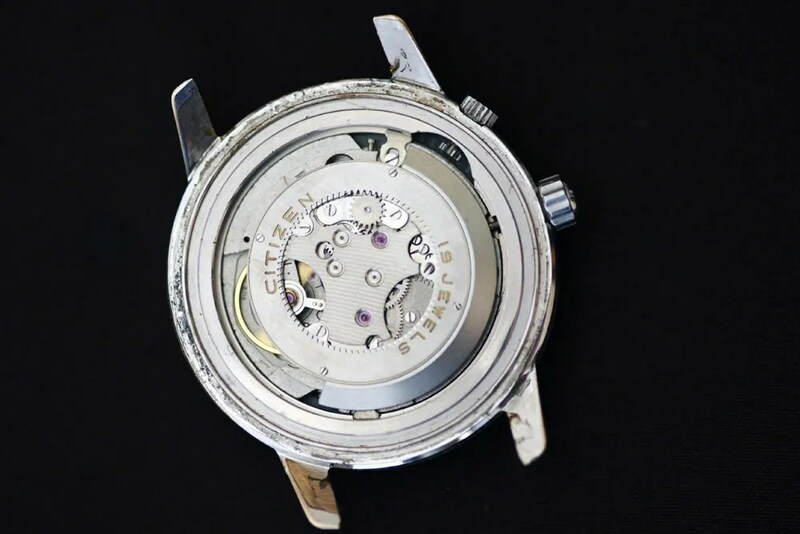 I’ve just got something back from master watchmaker Brian Leiser…….yes, he’s worked his chronograph magic again 🙂 This time on one of the rarer models, a 67-9071 ‘Monaco’. He’s done a great job – as always – and has provided pics and notes on the build (not just one of those simple restorations 😉 ) so I can do a full account. 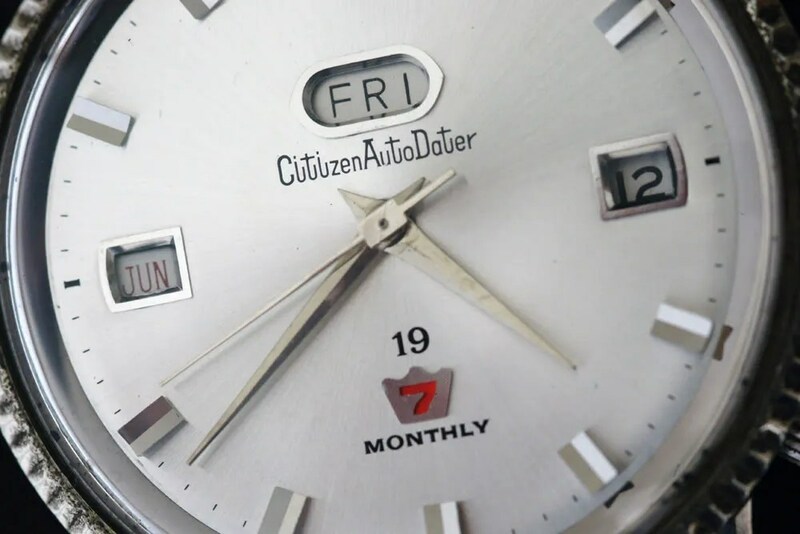 As can be seen this Monthly is part of the ‘Seven’ auto-dater line, using the 19 jewel version of the 4101 calibre. 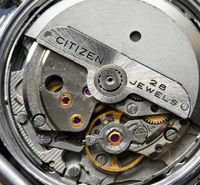 Unlike the 5270 monthlies, the month window is placed at the 9 o’clock position and is manually turned by the crown at 4 o’clock. 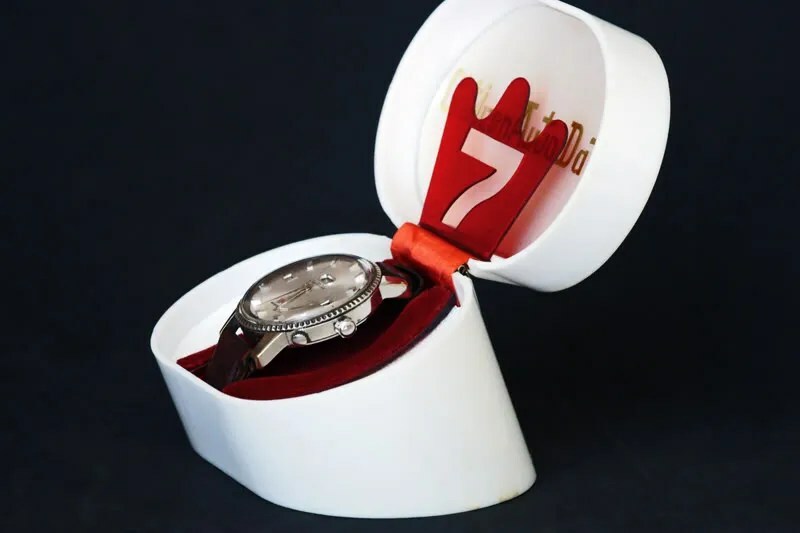 The month wheel runs over the date wheel and is perforated so that the date can be seen through it. 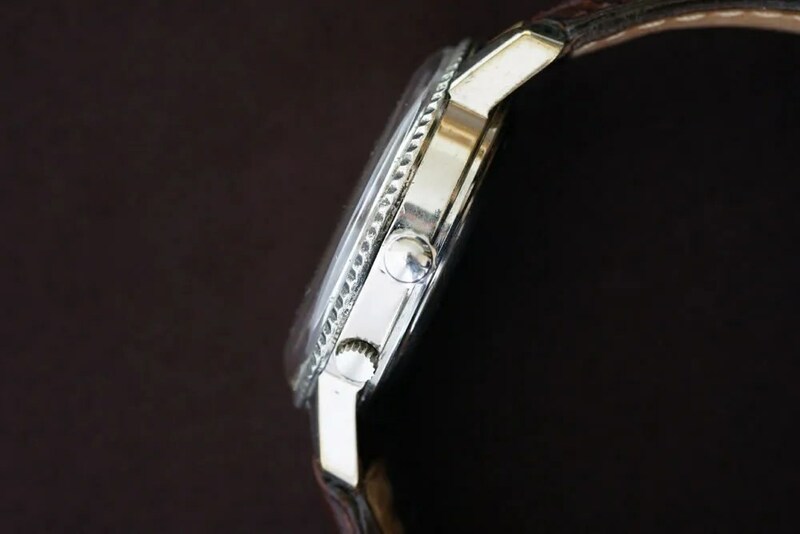 This is a large watch for its time, measuring 40mm across the case and the same lug to lug. 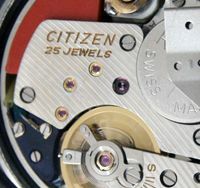 It is also over 12mm thick, perhaps reflecting one of the reasons Citizen moved to the more compact oscillating weight movements for its automatics. 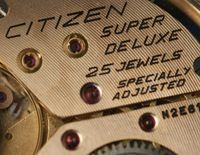 One of two of Citizen’s chronographs with case number only, i.e. no model number, this is a single register ‘Challenge Timer’ model which is driven by the 8100A movement (‘A’ is for Automatic, there’s no ‘B’ version 🙂 ). 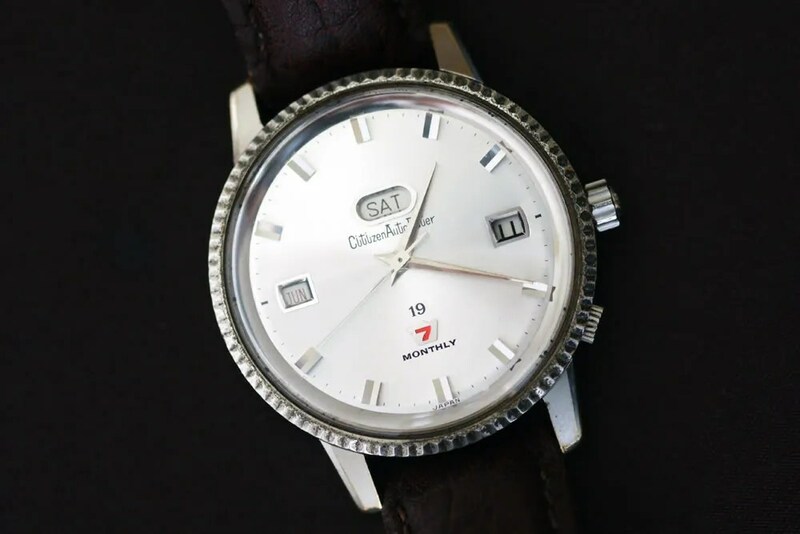 Both the twin register 8110A movement and the 8100 were introduced in 1972. 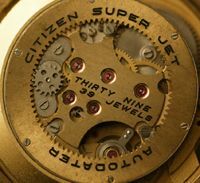 As with the 8110, this type has 23 jewels and uses the central sweep hand as the second counter, whilst the sub-dial counts minutes. 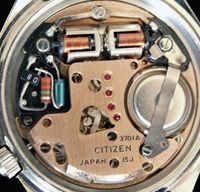 Otherwise its features are the same, running at 28,800 beats per hour with hand winding and ‘fly-back’ (instant reset and restart of chronograph function without having to stop it first). Good examples of the 8100 are not easy to find, rather like some of the lesser known 8110 models. Unlike the 8110 models, I don’t recall seeing any made after 1974, so they had only a limited production run and fewer will have been sold as a result.